Have you figured out what your financial goals will be for this year? Whether you want to pay off debt, save more, start investing, or just stop living paycheck to paycheck, you’ll need to start by creating a realistic budget to help you reach your goals. Back when I was in college and didn’t earn much, I simply spent money as it came in and was convinced that I didn’t earn enough to budget properly or even consider saving money. Now I realize how wrong my mindset was and that you can start budgeting even if you have a low income. 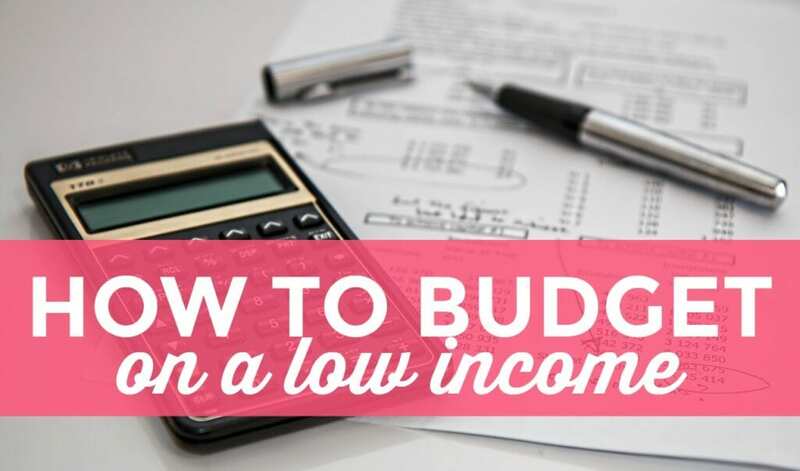 As a matter of fact, you should start budgeting with a low income so you can improve your finances over time. I’m not going to dwell too much on the fact that I think budgeting is pretty awesome, but if you need some convincing, here are the best benefits you’ll receive from creating and living on a budget. You’ll know where exactly where your money is going – This is key! To sum it up, budgeting is one of the best ways for someone to start improving their finances from the ground up. 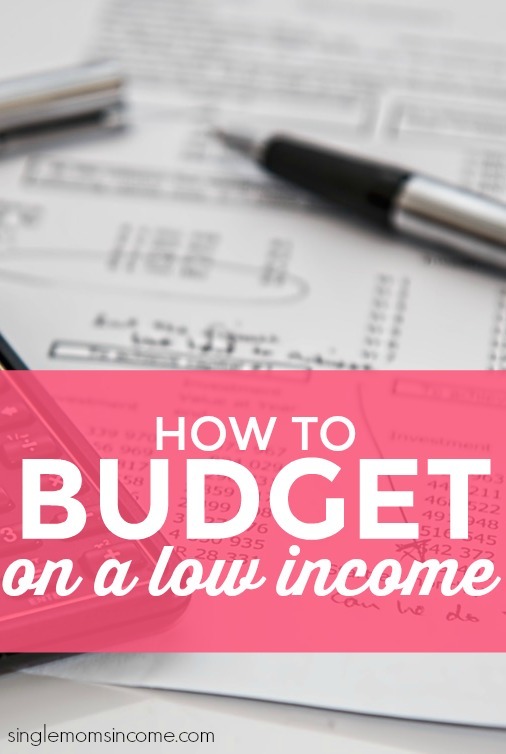 Budgeting when you have a low income is definitely more difficult, but it’s not impossible. Here are some key tips to help you get started. A budget is just basically a spending plan for your money. You’ve probably budgeted before and just never realized it. You may have gone to the grocery store one week and told yourself that you could only spend $85 on food. That was budgeting. The key to budgeting success is making it a habit and doing it actively so you are fully aware of what you’re spending and why. Some people may argue that budgeting is limiting and boring because it tells you what you can’t do. On the contrary, budgeting just helps you get realistic with your situation and work effectively to improve it. Unless you’re filthy rich, you’re going to have to save no to some things but that also means that you’re saying yes to something else. If you spend all your extra money on fast food one month because you don’t have and implement a budget, that’s going to mean that you can’t spend your money in another area of your life that might have been a priority. In that case, saying yes to expensive fast food meant that you had to say no to an important need that you had. Again, budgeting is simply a blueprint plan of how you’ll spend your money and use it to get ahead. People don’t budget for the sake of doing it. They budget with an end goal in mind. There are no strict rules and no minimum income requirement to get started. If you earn $500/month, you can create a budget with that money. You’ll need to start tracking your income if you want to create a realistic budget regardless of what your income is. Mint is one of the best free tools to use to track your expenses. Mint connects to your checking account, savings account, and other credit cards and can even pull up your debt balances. Mint will digitally track each expense you have and categorize it. You may need to manually correct the way Mint categorizes some things, but overall, it provides a transparent look at your spending habits. If you tend to make more cash transactions, you’ll need to hold onto your receipts and jot your purchases down in a notebook or in an Excel spreadsheet. After you know what you’re spending, you can start to be honest with yourself and identify which expenses, you can trim or cut completely in order to reduce your spending. If you think you’ve already minimized your expenses, check again and be more critical. Do you have an expensive cell phone plan or a pricey smartphone? You probably don’t need it if you’re having trouble budgeting. Do you buy restaurant food for lunch instead of bringing your own? Do you make impulse purchases that are fueled solely by emotion? Do you have cable? Are you paying for a gym membership or a subscription that you don’t use? Can you get a better quote on your auto insurance to cut your premiums? Cut out unnecessary purchases and work on finding more affordable ways to do things. It might seem like a sacrifice at first, but it will be worth it once more of your money starts to free up. To make sure budget official, you need to write it down somewhere. List out all your necessary fixed and variable expenses, then list out expenses that tie in with your goals. For example, if one of your goals is to build an emergency fund this year, you can add a savings category to your budget. Don’t be afraid to start small either. Every bit adds up. Finally, you can add in expenses that are not necessities if you still money left to spare. When I first started budgeting with a low income, I set my monthly entertainment budget at $50. At the time, that was all I could afford so I made it work. Now, my entertainment budget is still the same because I’ve learned to adapt and find tons of frugal ways to have fun. If I would never have created a budget and stuck to it, I probably would still be overspending on unnecessary expenses and being unable to reach my goals. Be sure to adjust your budget based on your needs and lifestyle. If something doesn’t work, try not to force it but if your expenses exceed your income, you’ll need to adapt or find a way to boost your income. For example, if you realize that you can’t comfortably afford your rent, you may need to find another place to live that’s more affordable or get a roommate to reduce that particular expense. If you want to save $300 per month but your current budget says you can only afford to save $150 per month, try to earn some extra income on the side to even out your budget. If you need do to something flexible to earn extra money. There are many opportunities to consider. 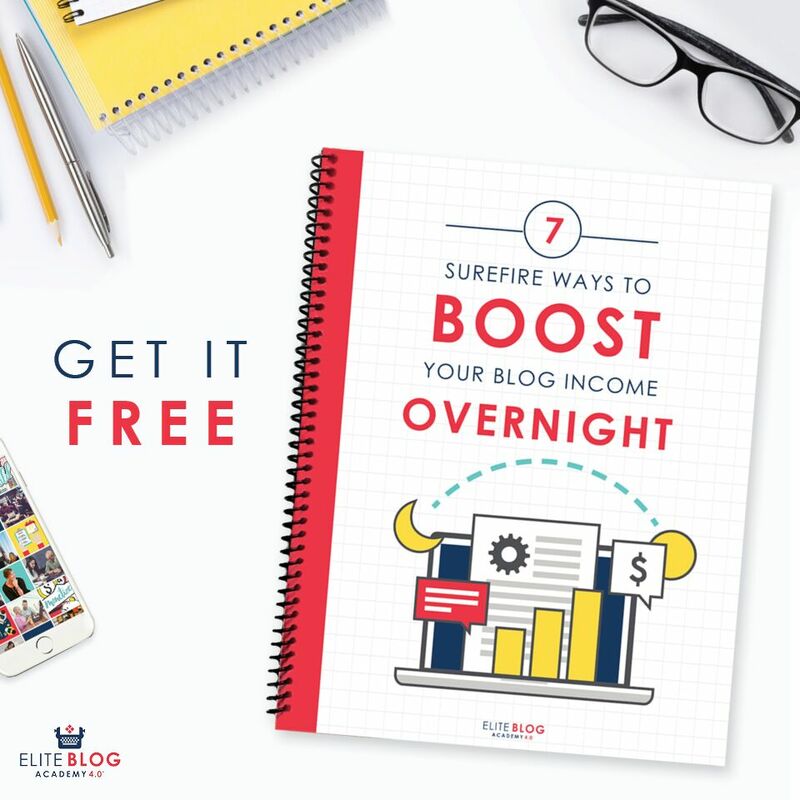 In this post, you can find 10 real ways to earn an extra $1,000 per month. You can also check out this post to compare 50+ legitimate work from home opportunities you can try out. Creating a budget forces you to get real with yourself and it can help you gain the focus and structure needed to reach your financial goals. Don’t let your income turn you off from budgeting. Start tracking your spending, trimming expenses, and remember to be realistic and adjust the numbers until you find what works for you. Do you have a budget? When did you first start budgeting and how has it helped you reach your goals? Have you ever been intimidated by budgeting due to your income? We were “lucky” to get used to a low income, we had to make things work so we found a way. Paying the debt we were in was a priority, rent was a priority as well, bills, food, etc. With my significant other being the only one with a job for a while, we had to find ways to better manage our finances so we’d get out of that financial mess as soon as possible. The main goal was paying off the debt, so in order to get by we had to learn to minimize our spending. We did encounter a few rough situations along the way, but all in all budgeting on a low income is actually doable! It’s extremely important to learn how to handle a budget to avoid sinking into further debt. I loved this post and recently wrote about writing budgets myself. I think budgeting is a key to success because those who know where their money is going and how to use it often tend have more of it. Hi, totally loved your advice here. I learned to budget early when putting myself through college (flying lessons weren’t cheap). Then again, it was a little scary when I was made redundant and moved from a salary to freelance income immediately after buying our first house… Now I’m totally scared to death to be soon moving from again from a salary to living on by website income (…currently a mere 500$ a month! :-), But it was sooooo much easier when I didn’t have kids! I hope I can grow up in my blogging to be more like you one day. Thanks so much for the inspiration. And I guess, if anything hopefully the living on a budget will teach the kids about budgets and real values early in life. To be quite honest it is almost impossible to get ahead if what you have coming in doesn’t cover the basics. In this case the only option is to find a way to earn more money…. What you are asking for isn’t impossible but will take some real determination and a solid budget. It looks like you have already assessed your income and four walls. I would really sit down and work through a Dave Ramsey Money Makeover. With your part time and your social security plus the other benefits you should still be able to save. Have you looked into reducing your cable expense by only getting internet? Have you looked into a government assistance cell phone? I would ask to be reassessed for the food stamp benefit as $15 doesn’t seem like a real benefit and they may be able to help you there. If i were you i would make my first initial focus on getting current with my car payment. Falling too behind can cause the lender to repossess your car and you don’t want that at all. For your credit cards in collections, start shipping away using the debt snowball method. Are there any odd jobs you can do on the side to earn some quick cash? I know it will be hard to get another part time job because it effects your benefits so doing some quick cash jobs might help mitigate the tightness.